Reading has three Park & Ride sites, one at Winnersh to the east of Reading, and the other two on the A33 in south Reading. The sites are easily accessible from the M4 and other major routes. Frequent Park & Ride services connect you quickly and cheaply to central Reading. 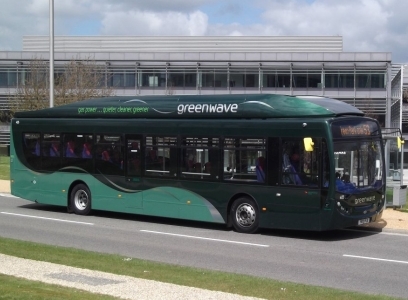 Park & Ride costs less than parking in central Reading for anything other than very short stays, and Park & Ride services use bus lanes making it a quicker journey than travelling by car. Mereoak (RG7 1PB) - New site on the A33 south of M4 Junction 11. Ideal if you are travelling from the south or east of Reading, or via M4 J11. Madejski Stadium (RG2 0PL) - Ideal if you are travelling from M4 junction 11 from the west of Reading. Winnersh Triangle (RG41 5RD) - Ideal if you are travelling from M4 junction 10 or east of Reading.